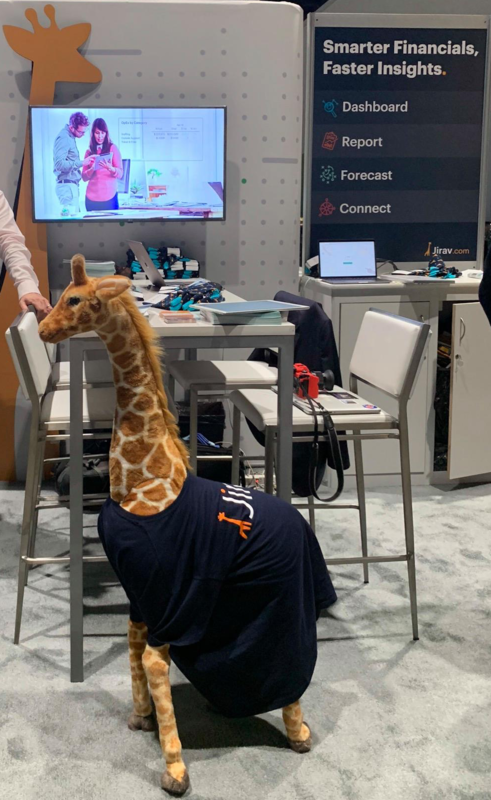 The team at Jirav as well as our mascot had a wonderful time seeing old friends and making new ones a the 2018 Quickbooks Connect conference. We are looking forward to working further with the Quickbooks community - for now please enjoy our Jirav's Quickbooks Connect safari and check out what Jirav can do for you and your business. 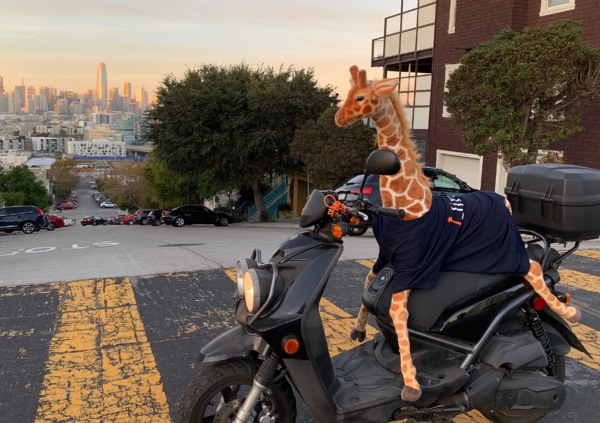 Jirav was really excited to make the journey from San Francisco to San Jose for the Quickbooks Connect conference, so excited in fact that Jirav's helmet was forgotten. Upon arrival Jirav went right to work greeting old friends and making new ones, spreading the word on Jirav's financial planning & analysis tool. After the first day of the conference Jirav organized a happy hour, new and old friends showed up - taking pictures with Jirav. On the night of the Quickbooks Connect closing party Jirav assisted in greeting attendees and wishing them a good night. 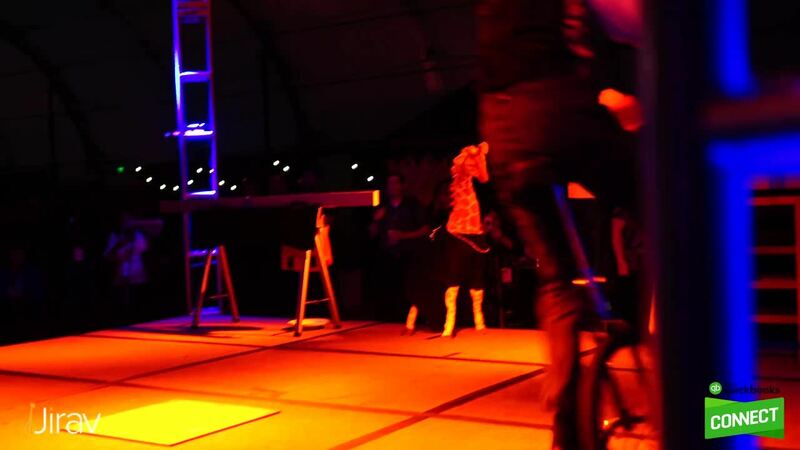 To the surprise of Jirav, a performer balanced the entire weight of Jirav on their nose! 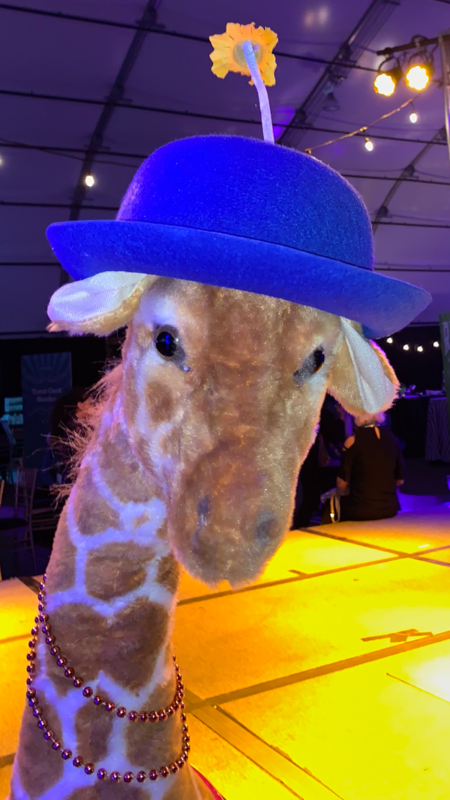 After being balanced from a great height, Jirav was happy to call it a night and wear a fun hat the rest of the evening to close out the event. Jirav will certainly be looking forward to the event next year! It was a wonderful conference and we appreciate having the opportunity to be part of the Quickbooks Connect community.